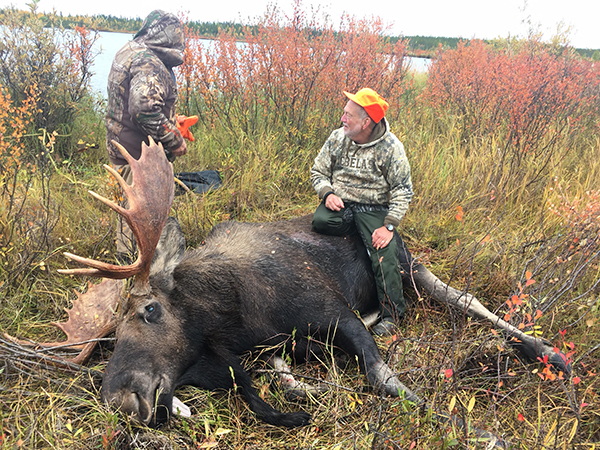 The 2017 Moose hunting season started hot with one of our guides calling out a nice bull the first day of the first hunt (Jim Bosier, below). Hunting slowed a bit for a few days during warm weather, until temps cooled off and we were back in business. 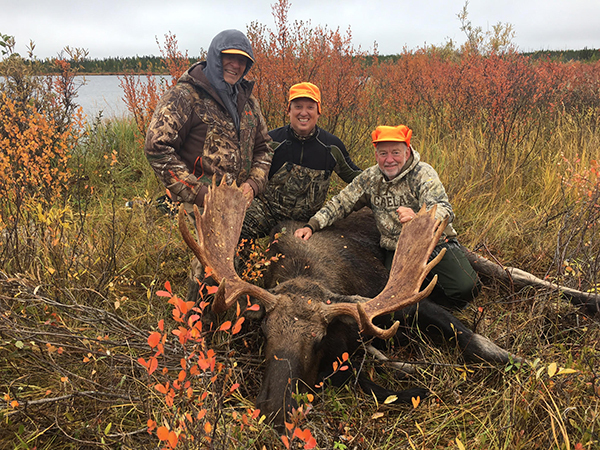 2017 hunters were 75% successful in tagging real nice bulls after one of the hunters was unable to extend his trip to make it a perfect 100%. Besides the four different camps we hunt out of, we will be exploring new areas that we have exclusive access to for Moose hunting. We are sold out for 2018 and have limited tags available for 2019. See below for details. 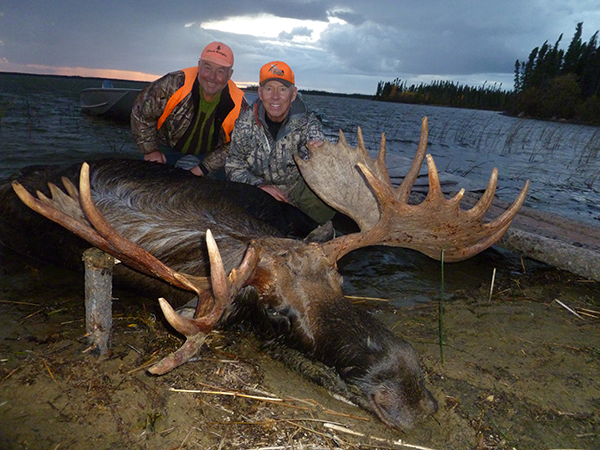 Steve Scheel (below) took this 55 inch bull from Pritchard Lake during a 1st season hunt. The bull green scored 199 pts. B&C gross. It should receive a B&C award after the drying period. The bull was very old with huge palmated brows. 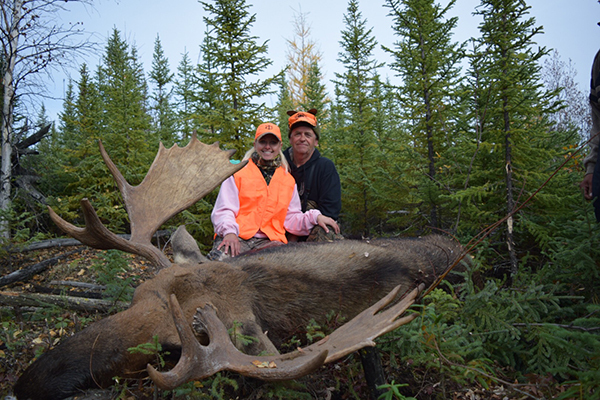 Heather Butler with Dad, Randy Balken, and their trophy bull Moose taken on Silsby Lake. A great Father/Daughter hunt turned out successful. We have hosted many family trips like this. It's a great week of bonding with family members. 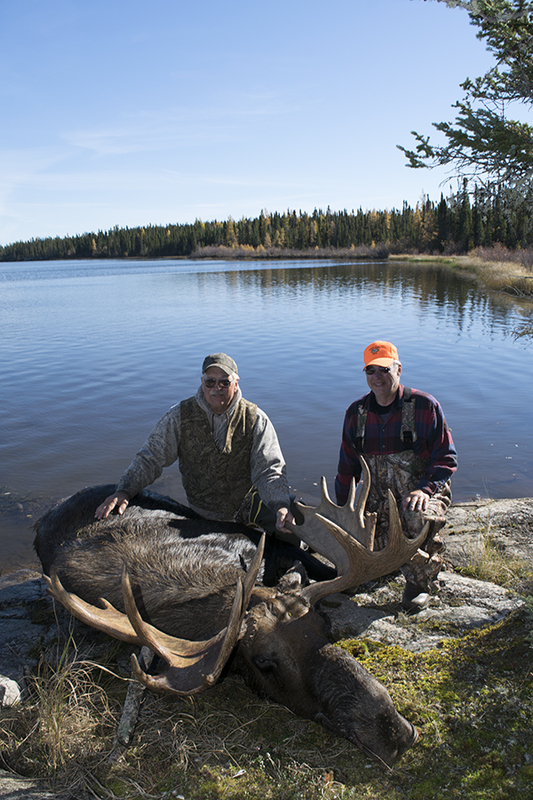 Mike Powell and hunting partner with an old giant bull from Silsby Lake. This old bull had incredible mass. I spotted his massive rack (looked like a huge bush on the top of his head) from over a mile away. There was no question as to whether or not to go after him. 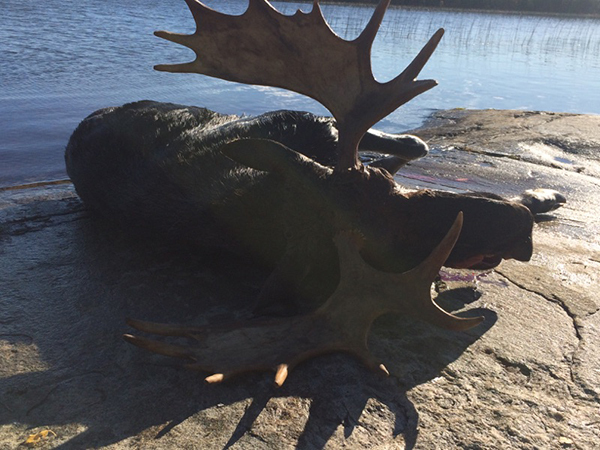 After a lot of hard work pulling him out of the water, there were tears of joy spilled after what these hunters had been dreaming about for years. 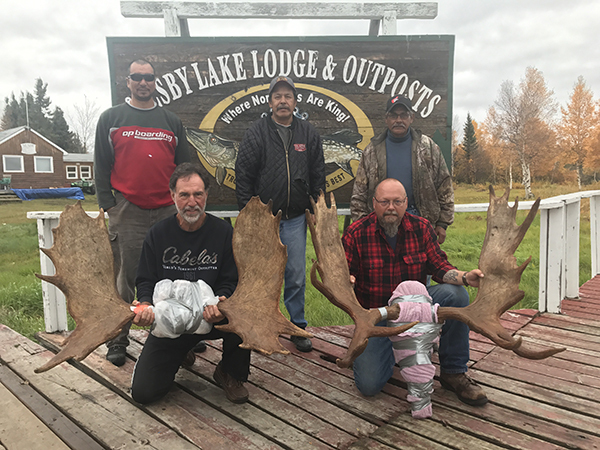 Includes - Everything in American Plan package PLUS - Hunting license, Moose tag, Wolf tag, guide, field dressing and meat for take home. Black Bear can be included in the hunt for the cost of the tag. This is what you are looking for...calm cold mornings/evenings. 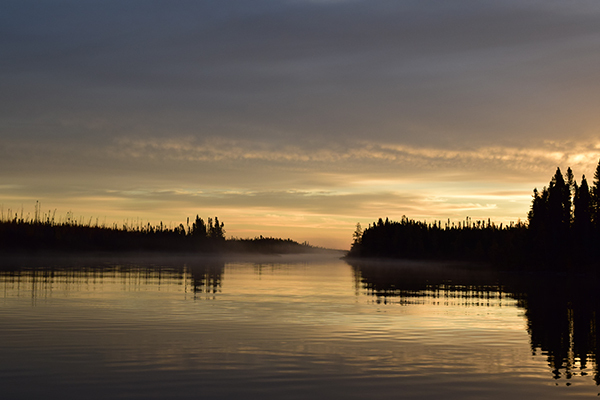 The sounds of bull and cow Moose calling back and fourth are sure to raise the hair on the back of your neck. 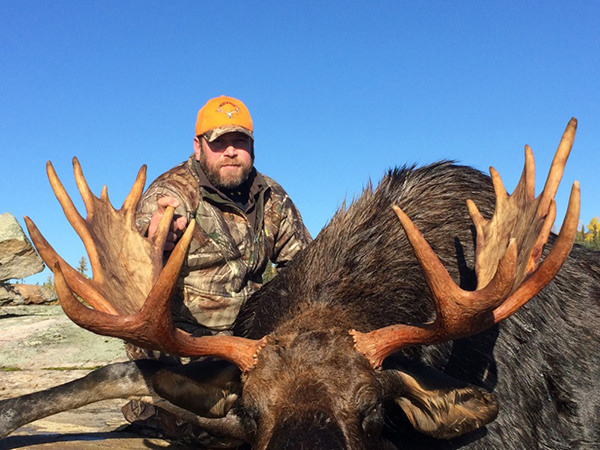 Call today to reserve your 2019 hunt, remaining openings will not last long! 1-800-521-1347.